Linde India is part of the global Linde Group and is owned by BOC UK. Linde India is a major player in India for industrial gases with more than 20 production facilities which can produce different mixtures of gases. It also offers consultancy services with project management as well. Linde India has 5,260 tpd air separation unit (ASU) built for Tata’s steel plant and another 2,220 tpd ASU for Jindal Steels. Linde Group was recently acquired by Praxair and in India, Praxair had planned to delist their India Business from the exchanges. Linde India was earlier owned by BOC UK PLC. In 2006, Linde AG (Germany) took over BOC in a £8.2 billion takeover. BOC at that time was much larger in size than Linde. Prior to that Linde AG had made some failed attempt to takeover BOC. Linde and BOC together have a history of working together for more than 130 years. Post the takeover, till 2013 Linde India was known as BOC India. As part of global rebranding process, BOC India was rechristened as Linde India. Linde India currently has BOC as its promoter with 75% stake. Praxair and Linde group last year initiate the merger process post approval from US federal trade commission and European Commission. The combined entities market cap is believed to be at $90 billion and combined revenue of $27billion (considering 2017 revenue). Linde India being a subsidiary of Linde group was also absorbed in the merger. The global merger came to conclusion in last week of October 2018. Praxair and Linde have working relations since many decades and in some verticals have been pitched against each other. As part of new strategy by Praxair, the management wanted to take Linde India private by delisting from stock exchanges. 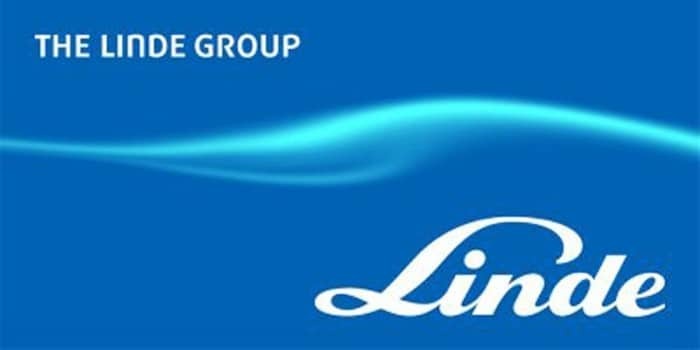 The BOC group which is the majority stakeholder in Linde India will take the full ownership. The earlier process of delisting was to put an open offer for the public shareholders. The open offer would be usually above the current market price (premium), so as public shareholders tender their shares. So in first open offer if promoters are unable to buyback complete shares than promoters would make a second open offer at higher price. This used to go on and on till 90% of the public shareholders have tendered the shares. The process was very much time consuming and didn’t ensure the full buyback will happen. Assume a promoter has 75% stake in the firm to be delisted. Assume the total shares outstanding are 1 Cr shares. Promoters needs to acquire 25% (25 lakh shares) to complete the delisting. Promoters will set a floor price Rs 525 (which in most cases involves some premium) .The bidding can start from Rs 525. Public shareholders will start placing their bids at different prices with different quantities. 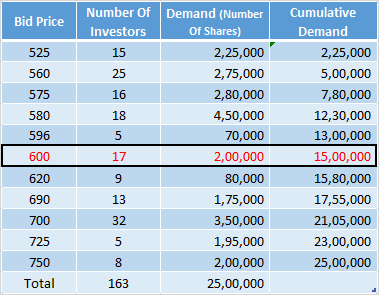 For the promoters to finalise on the final offer price (discovery price), they should be able to acquire a minimum of 90% of outstanding shares. In the above case 90% of stake can be held only when promoter is able to buy 15 lakh more shares. The minimum price to buy a total of 15 lakh shares stands at Rs 600. Thus the final offer price stands at Rs 600. If promoters are ready to buy the shares at Rs 600, then they can process the buyback of shares and go ahead with delisting. In earlier cases, investors were given a open offer at a fixed price, which was determined by promoter itself. This meant smaller retail investors didn’t have much of a say. The new process brings in price discovery mechanism, which will ensure a fair price for the shareholders. Due to the takeover, BOC is by law required to provide a open offer for a minimum 26% stake. Given that only 25% of the current shareholding is with the public, BOC instead went ahead with a voluntary delisting offer. As part of the process BOC opened the bidding on 15th Jan 2019 at a floor price of Rs 428.50. The bidding concluded couple of days back. The price discovered during reverse bidding was at Rs 2,025. The promoter has rejected the price and are unwilling to do buy back at Rs 2,025. The discovered price is nearly 4.7 times higher than floor price offered. The stock cratered the day the information on the price became public for there were doubts whether the company will be willing to buy-back its shares at such a high price. Today, the company decided against following up on desisting and instead is persisting with its buy-back. According to SEBI guidelines BOC can’t go offer delisting for another six months. Reliance Capital Trustee Co. Ltd. Through Reliance Multi Cap Fund and Reliance Tax Saver (ELSS) Fund is a major stake owner in terms of public shareholders. Reliance funds owns 9.85% of total stake. For Promoters to reach 90% of threshold, Reliance fund’s bid plays a major role. In the reverse bidding process, Reliance has placed its bid above Rs 2,000, taking the final offer price (or discovery price ) at Rs 2,025. For a stock that was traded at 400 levels just a few months back, 2025 is a price that is unlikely to seen for a very long period of time. This isn’t the first instance of minority shareholders asking for a price that is way above current market price. In 2012 Alfa Laval went for delisting with floor price set at Rs.2,850. The discovered price was Rs.3,000 but not many shareholders participated in the offer. The offer was then raised to Rs.4,000 and the stock was delisted from exchanges. Another stock that comes to mind wherein a major stock holder tried to push the company to offer a much higher price than the one it was willing to offer was Blue Dart. Promoters of Bluedart wanted to delist in 2011. Radhakrihna Damani held a 5.5% stake and asked for a price of Rs.2,300 for his stake which was well above the market price which were trading at around 1,400. DHL did not proceed with the delisting and over time has reduced its holding to 75% to comply with SEBI norms. The stock performance in the subsequent years showed that Damani was right in asking for that price with the stock peaking in 2015 at Rs.7,850, nearly 3 times Damani’s own asking price. As part of SEBI regulations on open offer, promoters will do an open offer for the price Linde India was acquired by the Praxair. The open offer is at Rs 328.21 which can be enhanced by 10% according to SEBI guidelines. The open offer will close on April 11, 2019. Considering the stock is currently trading at 560 a piece and floor piece of the stock was pegged at Rs 428.50, its doubtful to see it being succesfull in which case, Linde will continue to be listed for the forthcoming future. As for the unit holders of Reliance Mutual Funds that hold those shares, only time will tell if the decision of the fund manager to ask for such a high price was worthwhile given the stock’s own history.